Hello, it's day two of our countdown to the WPlus9 February release. 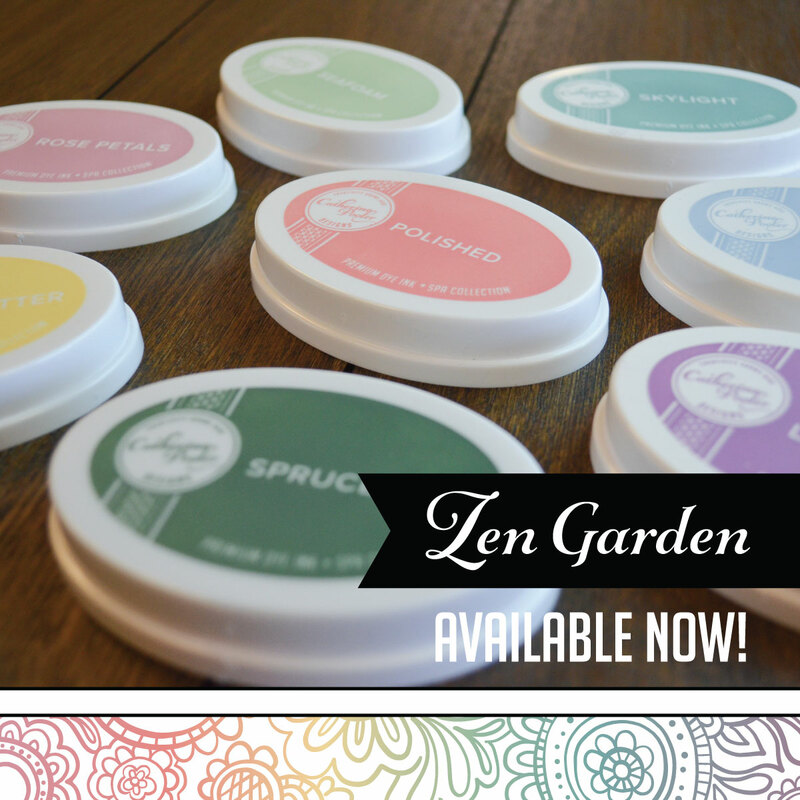 All of the products we are sharing will be available on February 5th! 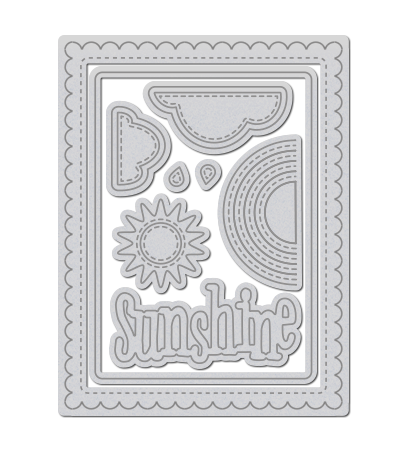 My card today features the Sunshine Layers Die and Sending Sunshine stamp set. You get such a variety of dies in the Sunshine Layer Die set! 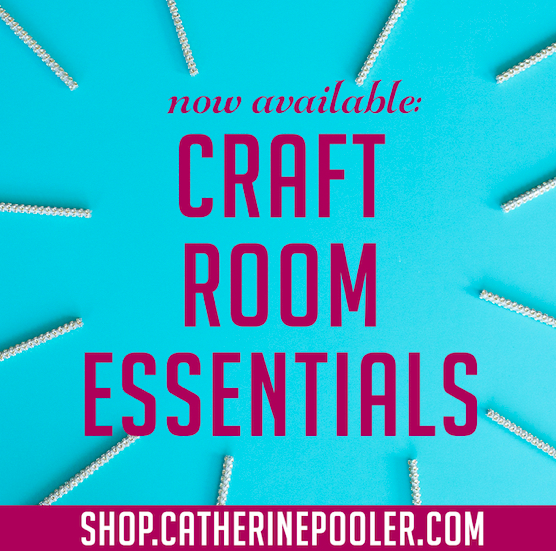 You can use them all together or seperately. The stitched scallop mat here, I'm so in love with that!!! 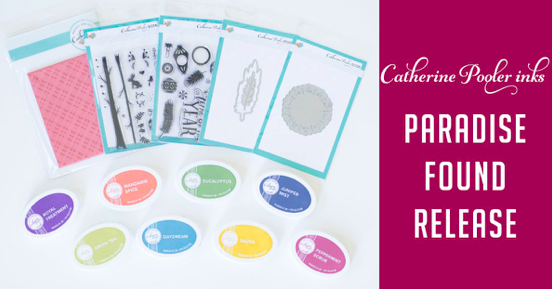 My card came together so quickly, these dies pretty much do the work for you! I simply die cut all of the pieces and colored the sunshine word die and sun using Copic markers. I also used the Wink of Stella pen on them, but that's hard to see in my photo. I stamped the sentiment from Sending Sunshine and scattered Sparkling Clear Sequins around the card. 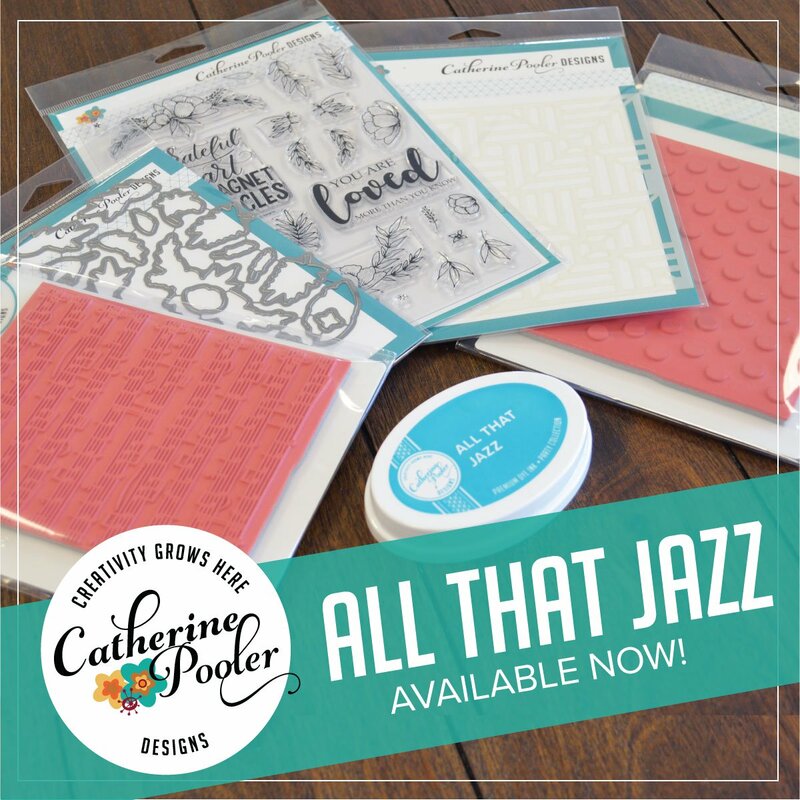 Dawn featured these products on the WPlus9 Design blog yesterday, click here to see her amazing cards and she has more for you today. 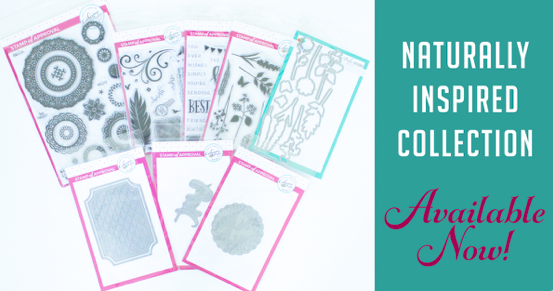 Also check in with Joni & Kara for even more inspiration with these new products! Love the texture on the word sunshine, so pretty and cheerful creation! Oh that stitched scallop mat is to die for! Love your card!! Beautiful card - love those dies. 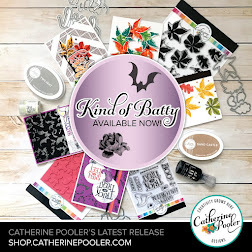 The stitched scalloped one is fabulous. Love your rainbow colors on the word "sunshine". What a wonderful sky scene! 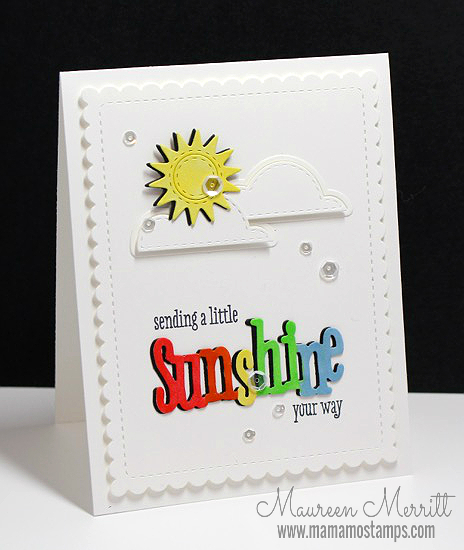 Fabulous design--what a fabulous idea to color the 'sunshine' like a rainbow! Loving everything in the new die set! WOW!! I love how you created the sentiment in different colors with the black underneath. Fabulous design! Love this sunshiney creation! The stitching details and pop of rainbow colors are great!!! 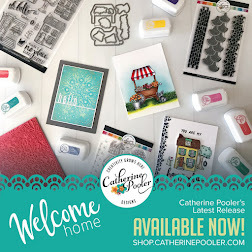 So sweet Maureen, love this new set and stamps and dies! So bright and happy - love it! Oh I really love this card!!! 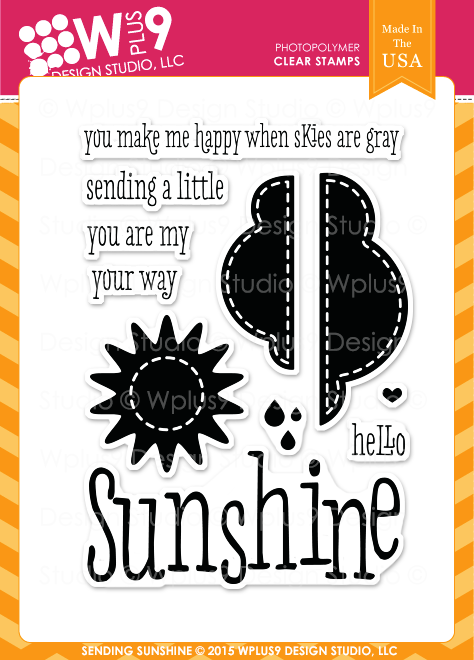 The crisp white background just makes the sun & sunshine sentiment really pop!! I love how you colored the sunshine sentiment in different colors!! Fabulous card. Definitely a happy card. The fabulous pop of colour would bring sunshine into anyones day. I love the rainbow colors on the 'sunshine' word. Wonderful cards. Love the new releases too. 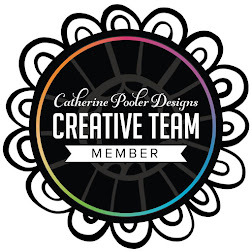 The first card with the black and white with the pop of color is lovely. 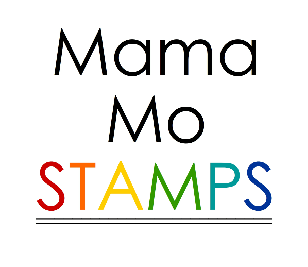 I love how you made a rainbow out of the word!